Brave New World: Art or the Future of the Printed Book? Art or the Future of the Printed Book? This weekend in a quiet small local market in Bath we came across two stalls which caught our eye. One was selling lampshades at £75 each and the other origami objects. The thing that was interesting was that both were using printed books as their base material and draw. 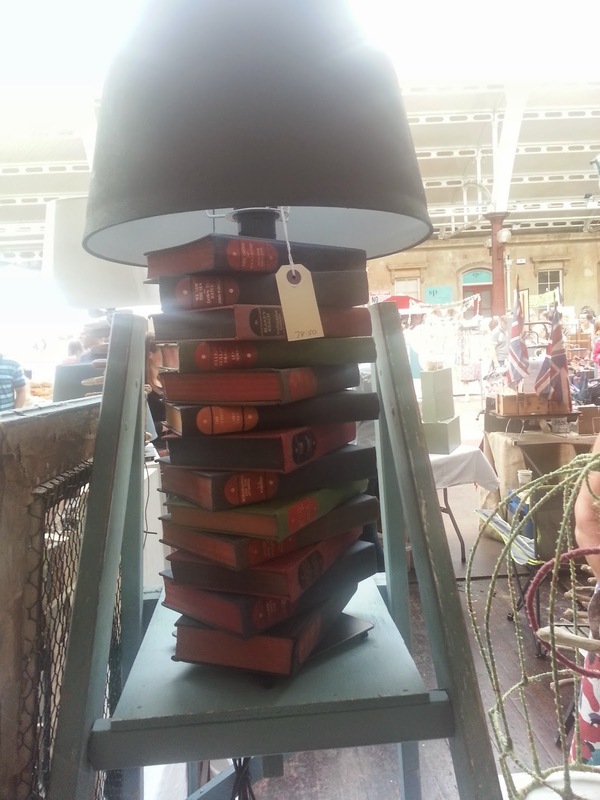 The lampshades used a pile of books as their base which had a hole drilled through them in order to support the shade and fitment. The stallholder commented that several people had objected to her wares and that she was finding it difficult to get the books as charity shops wanted to sell them or they were destined for landfill. She roughly had desecrated some 100 plus books just to create the lampshades she had on display. 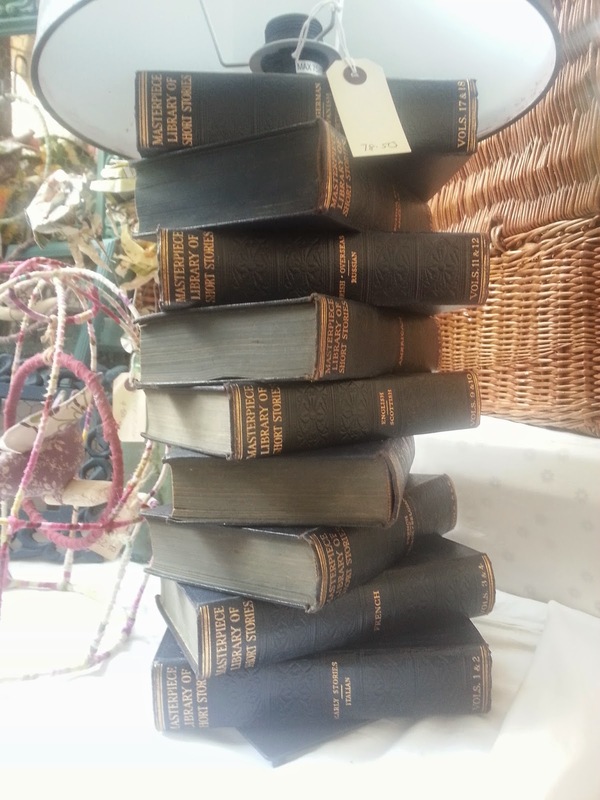 We quite like the look of the leather bound set of short story books but they were now holed. The Orinoko origami stall obviously had no problems getting hold of stock to cut up and fold as they proudly worked in partnership with BookBarn International who were advertising themselves with flyers claiming, ‘Invest in the future of books!’ Orinoko proudly state, ‘choose the book you want from any Bookbarn International stock and get a 20% discount off the book.’ No doubt they buyer then brings their book along to Orinoko to be cut and folded into art. Some would suggest that this is not investing in the future of the book. Last week we wrote about the British Museum’s ‘wheel of books’ and questioned the subliminal message it was sending out about printed books and art. 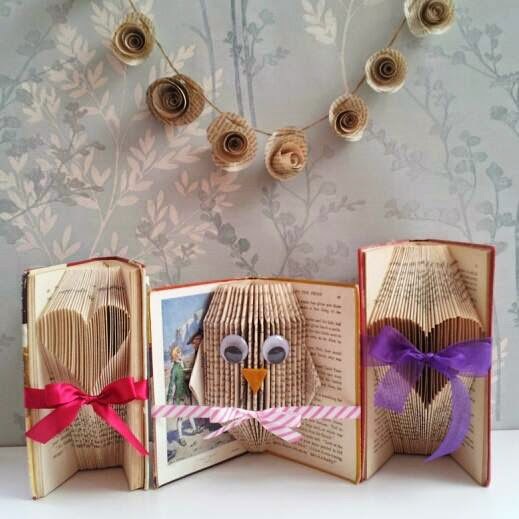 Now we have further examples of books being used to create art in the best possible taste. But is the real future of the printed book? Individual libraries and book collections used to define the owner’s taste, likes and reading but tomorrow will these be desecrated to reflect their art taste and regard for the printed book? Unlike landfill and pulping these new fashion and art objects are for display. Once out of fashion they are of no use and become yet more rubbish. But until then they will sit proudly on display no doubt alongside the stuffed heads of shot animals and caught fish and other trophies which define the taste of their owners. Amazon Deliver A PR Bomb To Hachette? Are Books Merely a Form of Physical Decoration? Do Bookshops Have A 2020 Vision?